RALEIGH, NC (WTVD) -- Smashed Waffles has opened a second location in North Carolina near N.C. State University on Hillsborough Street. The restaurant started in Greenville, NC, in 2016 as a waffle delivery service gaining national attention after delivering more than 100,000 waffles in a few months. 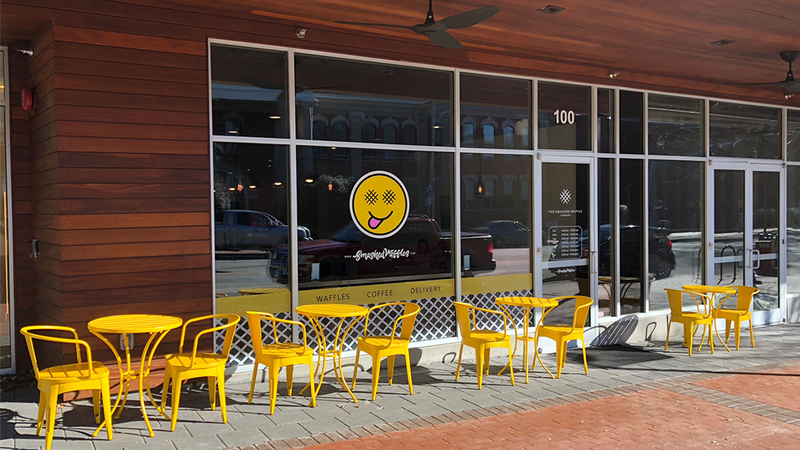 In 2017, the first Smashed Waffle Cafe opened in Greenville. "Our owner, Justin and the founder, Hunter, came up with it," explained District Manager Bob Licari. "It's not a batter-based waffle, it's a dough-based waffle and it's infused with a secret ingredient. It's got great toppings and it's certainly crave-able," Licari said. There are sweet toppings, savory waffle sandwiches, and minis. The store delivers within a mile of their Hillsborough Street location and also features coffee and flavored lattes. There's also a Smash Shack food truck available for events.